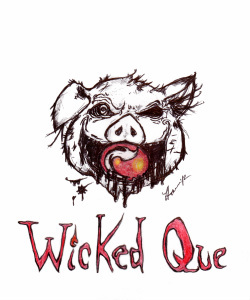 Wicked Que is a competion team and catering company started in 2006 by Eric CampbellFor the best pulled pork, ribs, brisket ,chicken or steaks just send me an email. Colliers international party @ Fuller Hot Rods! 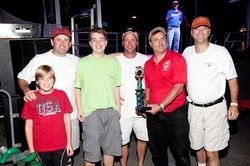 Atlanta BBq Festival 1st place Pork. 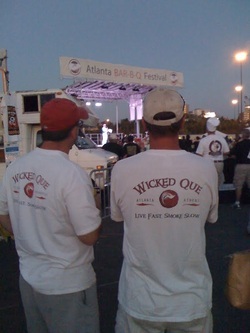 For the best bbq in the Atlanta Area Email Wicked Que!